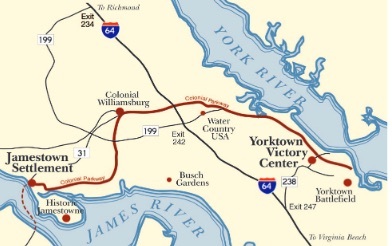 The first permanent English colony was at Jamestown, Virginia in 1607. The colonist came in three ships - the Susan Constant, Godspeed and Discovery. 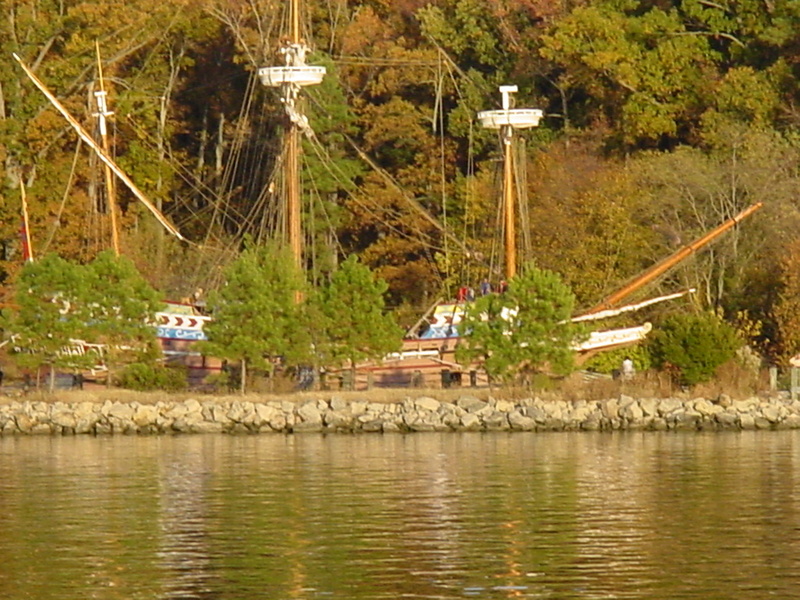 Replicas of those ships are moored at the Jamestown Settlement's pier for visitors to board and explore. The ships carried 105 passengers and 39 crew members on the four-month transatlantic voyage. A 17th-century source noted that a total of 71 people were aboard the Susan Constant, 52 aboard the Godspeed and 21 aboard the Discovery. This is a great place to spend a day. The museum is a must see and there are living exhibits to the indigenous people of the area.